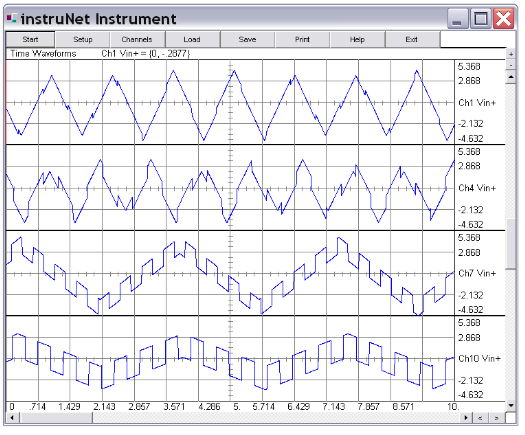 VB Instrument implements a strip chart/oscilloscope recorder for 1 to 16 channels. It is similar to instruNet World software, yet is written in Visual Basic and the source code is included. You are welcome to modify it.